We are proud to present this unique line of seeded cards. 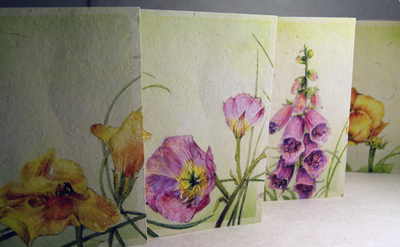 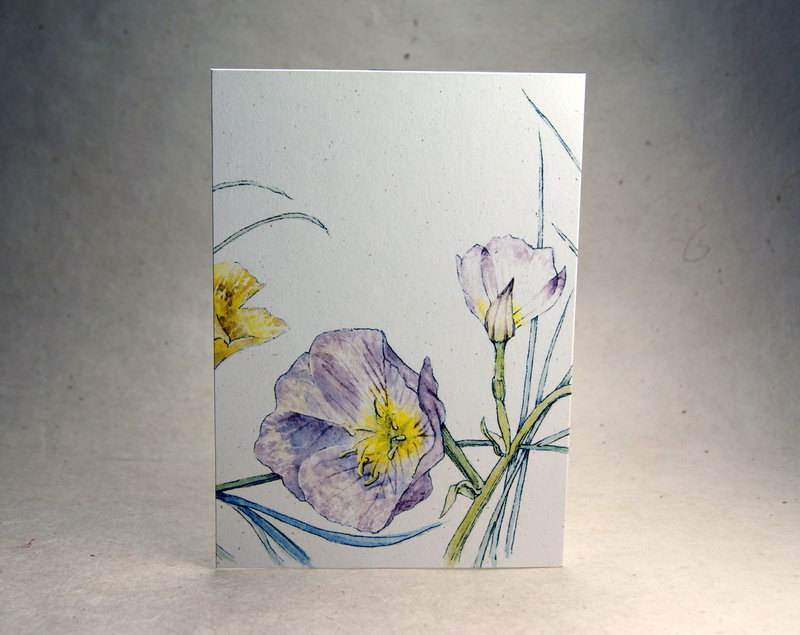 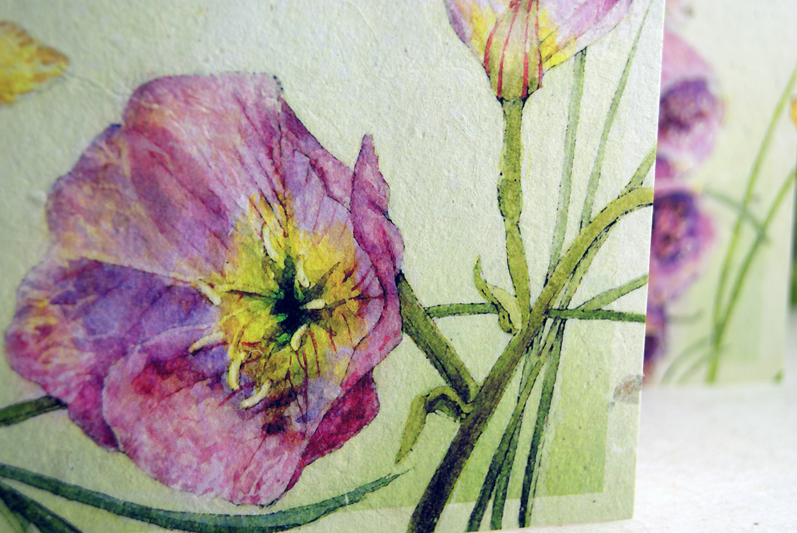 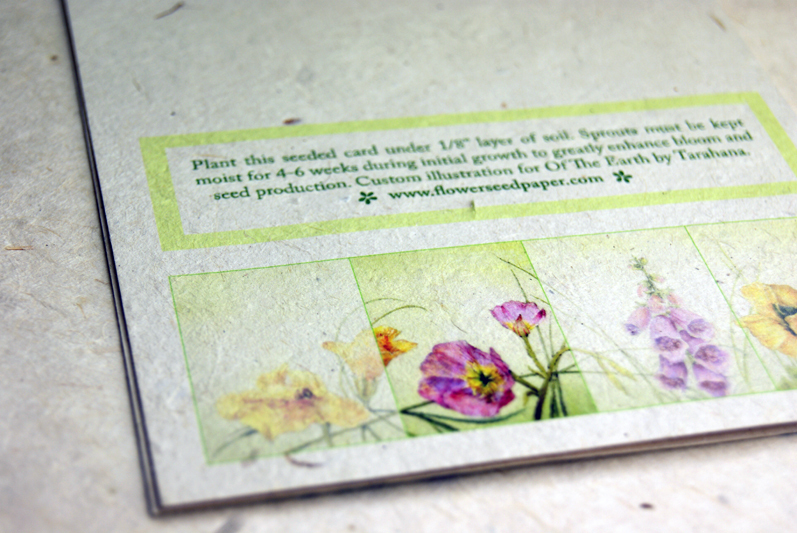 Printed on these unique cards is a gorgeous watercolor presentation of flowers that will sprout from this paper. 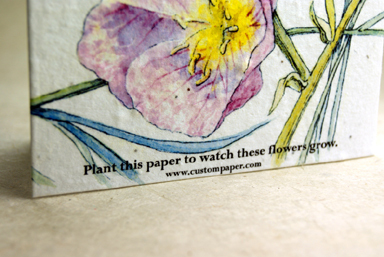 Side by side the design combines to create a panoramic print of the flowers and individually they are stunning reproductions. 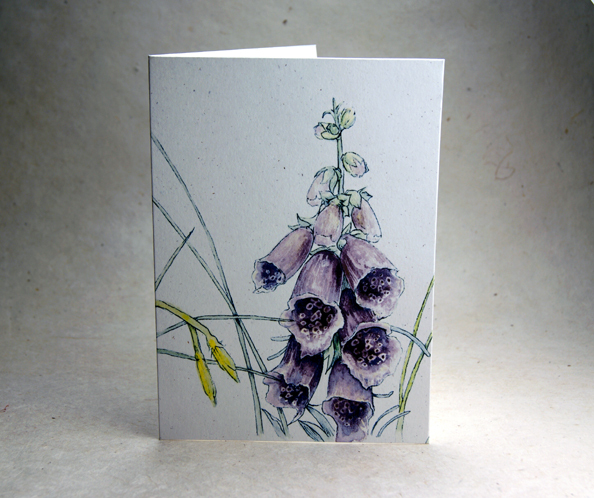 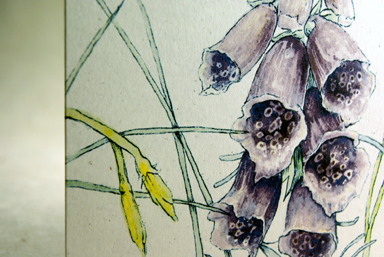 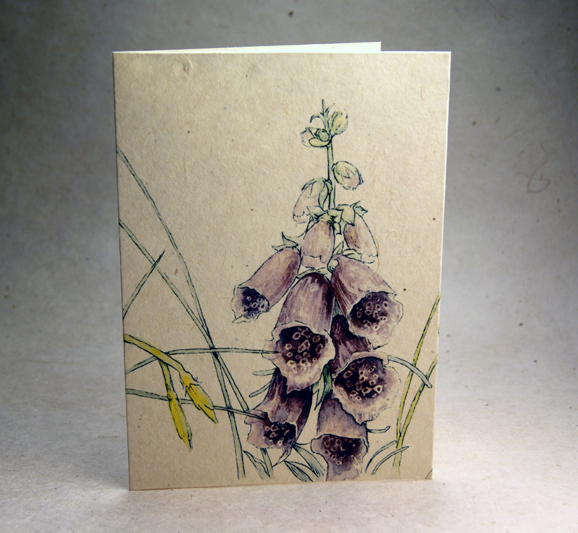 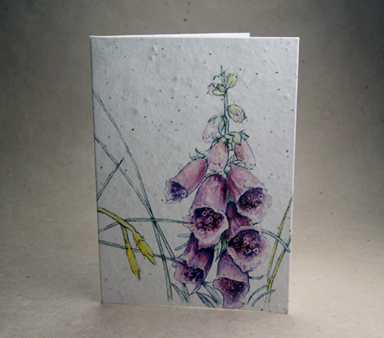 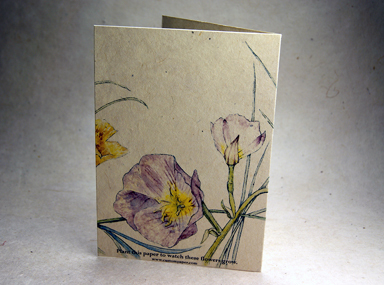 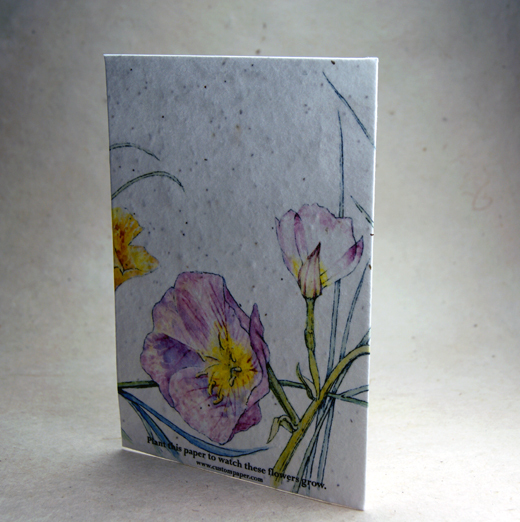 This card has a foxglove flower on the front and a primrose on the back with a note that tells the recipient to plant the card. 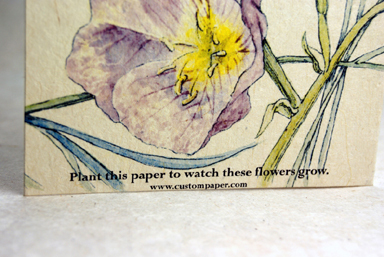 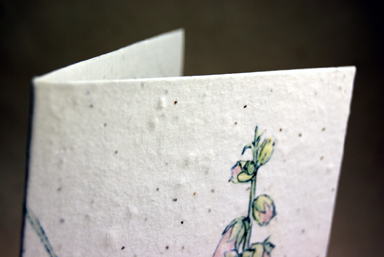 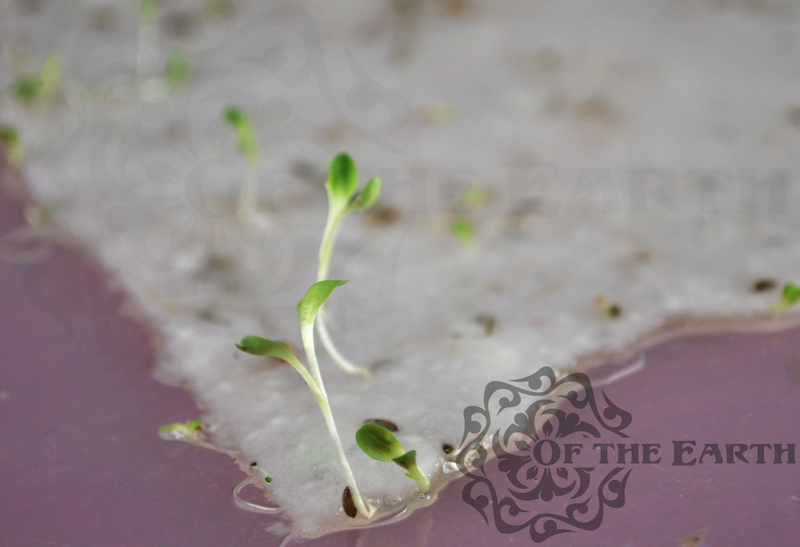 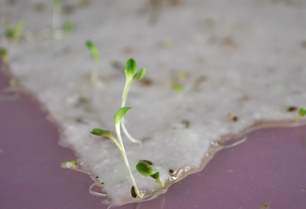 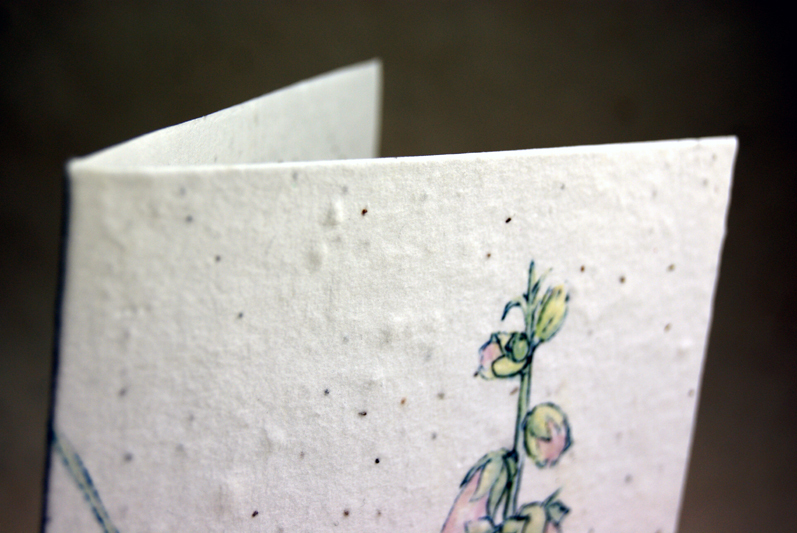 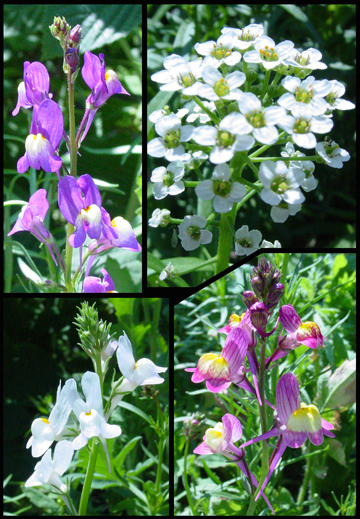 The flowers pictured are two of the ten possible flowers that will sprout out of this paper if it is planted. Each one measures 5x7 when folded shut and 10" x 7" open.